Me too! Actually, most people do. The problem is, when the stones get too big and get stuck in the gallbladder and cause gallbladder attacks like it did for me last year. I learned way more than I ever wanted to know about the gallbladder and the liver. To be honest, I wasn’t even sure where these organs were in me! I’m quite sure now. 🙂 Except now I’m missing one of them! In the last year, my mother-in-law, my brother, my sister-in-law, and my brother’s dog, have all had their gallbladders removed. Gallbladder surgery is one of the most common surgeries in the U.S. Gallstones are most prominent in American Indians, followed by Hispanics, and more common in women than men. My midwife told me that the doctors joke that the common factors among people with gallstones are the three f’s – forty, fat, and fertile. Nice. Apparently, around age 40 is the most common time to get gallstones (it takes time for them to form), overweight people are more likely to have stones (because of a poor diet and overeating), and women who have had a lot of pregnancies, because the hormones during pregnancy often trigger gallstone attacks (I’m thinking because of the thickening of the bile). So, I thought I’d write a post about what I learned about the gallbladder and liver through all of this, how to prevent yourself from getting gallstones, and life after gallbladder removal. You can google and find lots of information on gallbladder attacks, but I’ll summarize what I have learned and my own experience with gallstone attacks and surgery. Some boring facts: Larger stones take on average about 8 years to form. The stones are formed in the liver and then pass through the gallbladder and then the bilary ducts that lead into the intestines. Bile is produced in the liver and then stockpiled in the gallbladder until your body needs it, like when you eat a high fat meal like meat, chicken, or fatty oils, etc. The bile needs to be thin enough to move the stones, toxins, and the bile itself along into the intestines or else the stones will start to grow bigger and stay in the gallbladder. The stones themselves are basically just hardened bile. That’s why it’s important to drink lots of water and exercise – to keep the bile thin and things moving along. If you have stones, you are only producing about 1 cup of bile a day. A healthy liver will typically produce one and a half quarts of bile a day. Probably why it’s so important to drink a lot of water, so you can produce bile and keep things moving. If you have gallstones, a must read is “The Amazing Liver and Gallbladder Flush” by Andreas Moritz. Have your library order it for you. I’ll talk about liver flushes later (I’ve not done one yet). But, whether you do a flush or not, this book explains everything about the liver and gallbladder VERY well, and you won’t hear any of this from your doctor. Moritz basically says that all diseases originate from a poor functioning or congested liver and if you’re already at the point where you have gallstones, you’re in bad shape. I actually have a lot of the other symptoms of a congested liver as well (dark circles under the eyes, headaches, stiff neck, liver spots on the back of my hands, etc.) which shouldn’t be surprising. But even you’ve had your gallbladder removed, doesn’t mean you’re in the clear. You’ll be setting yourself up for a lot more problems down the road if you don’t take care of your liver through a healthy diet and lifestyle. Another good author on the subject is Dr. Hulda Clark. One of them is called “The Cure for All Diseases.” She has several protocols for doing liver flushes that can be found on the Internet. She believes many problems are a result of parasites and that in the center of most gallstones are dead parasite material, which may have been the starting block for the stones. So, I would suggest reading those books to understand what’s going on in your body when you have gallstones. If you don’t have gallstones, it’s still a good read, because you very well could get them down the road, and at that point, a lot of damage has already been done (which can be reversed thankfully). And it’s likely you do have gallstones, but just don’t know it. Sometimes people ask me what it feels like to have a gallbladder (GB) attack. You can have something that people refer to as gallbladder pain, but it’s not the same as an attack. I did have this pain for a few years off and on before my attacks last year but I had no idea what it was from. Sometimes I would just feel sick to my stomach after eating, especially after pizza, one of the worst offenders for your gallbladder/liver. As well, every time I was pregnant, I had a sharp pain right in between my ribs in the middle. I had to hold my hand over this area all the time to dull the pain. My midwives always told me it was probably from all my organs being pushed up from carrying the baby because I am short. After delivery, the pain would go away. It’s the exact same area where my gallbladder is and where I had pain during my attacks, so I probably had stones then, which didn’t cause any attacks until years later. Just because you have stones doesn’t mean it will cause a gallbladder attack. You can pass the stones (or not pass them) without any pain. Or the stones can dissolve down smaller and then pass, and you don’t even realize it. Some people will have their GB removed because of this constant pain, even though they don’t show up with any stones on the ultrasound. They may just have an inflamed gallbladder with a lot of smaller stones that are not calcified and therefore wouldn’t show up on the ultrasound. I’m not familiar with this, but I have read of people who just had constant pain until their GB was removed. So anyways, what does a GB attack feel like? If you suddenly out of nowhere find yourself kissing the floor of your bathroom, sweating profusely, ripping off your clothes because you are so hot, keeled over in pain, holding your stomach near your ribs with a sharp (yet dull at the same time) pain, ready to throw up or throwing up, finding it hard to breathe, barely able to talk, in the worst pain of your life, calling 911… you might be having a gallbladder attack. 🙂 At least that’s what it felt like for me. I had 6 of these bad boys in 10 weeks. And did I mention I was also pregnant? I had my first attack when I was about 7 weeks pregnant. However, I didn’t realize it was a gallbladder attack. I thought it was from something I ate. This first one lasted only about 10 minutes. I felt as I described above. It was the strangest thing. I had gone into my son’s room to tell him it was almost time to go to church for Awana when I suddenly felt very sick with sharp pains, and went into the bathroom thinking I was going to throw up. I thought it was from eating gluten and dairy which I wasn’t used to. 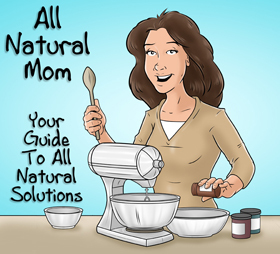 I had been on a gluten and dairy free (GFCF) diet mostly, and when I became pregnant, I suddenly was ravenously hungry and couldn’t get filled up on GFCF foods. 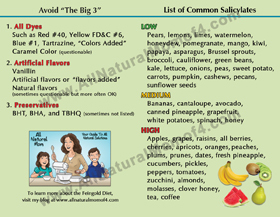 I hadn’t eaten GFCF for my other 3 pregnancies and I thought I might be needing the nutrients from these foods. Plus, for some reason, we like to tell ourselves that when we’re pregnant, we should eat whatever we want, because the baby must want it or need it somehow, right? So we indulge our cravings. The day before my first attack, I had eaten ice cream, baked potato skins with bacon, and homemade salsa. 🙂 (I know, real healthy.) After the 10 minutes had passed, the pain just suddenly went away, leaving me feeling extremely exhausted and weak. I was like, “That was weird. OK, let’s go to church.” I never wanted to eat salsa again. My kids joked, “Baby don’t like salsa.” Spicy foods are also problematic which may be why hispanics have the highest rate of gallstones. I had also prior to this time been eating organic chicken and grass fed beef and almost all home cooked meals for the last couple of years, so I think my body just went crazy from the quick change in diet. I rarely ate out because my kids can’t. Too much protein from animals is also hard on the liver, and I was eating a lot of it for the couple of years prior. Then life hit the fan. Stress is a big contributor to gallstones forming because stress inhibits the production of bile. If you’re not making enough bile, stones will start to form and get stuck. Although if stones take 8 years to form, I’m thinking maybe it’s just from the lack of bile caused by stress. I also learned that being pregnant, and the more times you have been pregnant, increase your risk for gallstones b/c hormones slow down everything in the digestive tract. So, because of stress and lack of funds, I was eating fast food instead of cooking at home, I started eating gluten and dairy again (big triggers for gallstones), and I very rapidly started feeling sick and exhausted, which only led to me eating out even more because I was too nauseaus to stand and cook in the kitchen. I thought I was feeling nauseaus from being pregnant, though with all of my other 3 pregnancies, I had not had morning sickness at all. I told my midwife that I felt sick every time I ate, so much so, that I was afraid to eat anything. Every time I ate, I knew right after, I was going to feel nauseaus. This is a symptom of gallstones, especially if it’s after eating something high in fat or dairy or meats, which is pretty much the typical American diet. None of the home remedies for morning sickness were working either – vitamin B’s, Tummy Tamer tea, etc. Also, losing or gaining weight rapidly, and skipping meals also puts you at higher risk for a gallstone attack. I did both. Because of stress, I had lost about 10 pounds and often skipped meals just because I was so busy with the kids and didn’t have time to eat or forgot to eat. A week after my first attack, I felt the same type of pain, but this time it lasted 20 minutes. Again, I thought it was from eating gluten and dairy and fast food, so I decided it was time to go back to the GFCF diet. This time I had eaten pizza. Usually attacks will come within a couple hours to the following day of eating a triggering food. Mine usually occured the next day. This time, I thought about calling 911 but I waited it out, thinking if it was only 10 minutes of this pain, I could wait. It lasted 20. I really tried to avoid gluten and dairy, but 6 days later, I had a third attack, this one much more severe, after eating KFC the night before. This attack lasted over an hour and a half and was the most severe. After 20-30 minutes of the pain not stopping, I decided I needed to call 911. I had my 9 year old son call as I could barely talk. He was kind of excited about getting to call 911, even though his precious mother was on the couch dying! 🙂 I had no idea what this pain was from but it was the third time it happened, and I had stopped eating gluten and dairy for the most part, so it wasn’t from that. I knew it wasn’t from the baby because the pain was very high up, right in the middle of my ribs. The ambulance came and took me to the hospital. They asked if I wanted anything for the pain and I said no, not because it didn’t hurt, but because I was pregnant. I had given birth to 3 kids at home without drugs and I wasn’t about to start now, plus I figured the pain would stop any time as it did before. I didn’t realize it was going to last over an hour. At the hospital, it subsided for a few minutes here and there, and then it would hurt again. I had to be curled up on my side. The nurse finally said it sounded like gallstones and they would be doing an ultrasound. Gallstones? The thought hadn’t even crossed my mind. I’ve always been pretty healthy and thin and I was only 34. Though, I did spend the first 30 years of my life eating fast food and junk food and lots of sugar and candy. For some reason, I never gained any weight. I could eat anything I wanted because I had a high metabolism and probably malabsorbtion issues I know now. I always figured if I wasn’t fat, I was healthy. Wrong. I remember eating 6 chocolate long john donuts often on Saturday mornings, then going off to play in a basketball game. Pizza, Dairy Queen, and McDonald’s was what I ate pretty much all the time, with some Spaghettios thrown in for good measure. I guess it finally caught up with me. 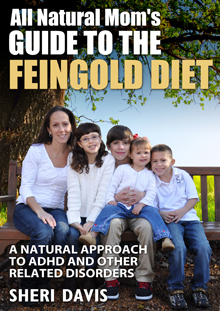 🙂 When my son started the Feingold Diet a few years ago, I was forced to change my eating habits because I didn’t want to eat unacceptable foods in front of him when he wasn’t allowed to have it. I slowly learned how bad these foods were for you anyway, and decided I didn’t want to eat them anymore. I had no idea about nutrition and health, other than what was taught to me in school – the 5 food groups. I thought I was doing good b/c pizza and McDonald’s contained all the 5 food groups! I’m not kidding. What a moron I was! 🙂 French fries (potatoes) were my vegetable of choice. While some of the info out there on what foods to eat to prevent a GB attack and what foods are good for the GB were conflicting, I did find a couple of good sites. One site is http://www.gallbladderdiet.com/. One food that was confusing was grapefruit. While one site said it was good for the liver and for liver cleansing, another said it caused attacks. Which is it? I’m still not sure, but I think the grapefruit helps flush the liver b/c you are supposed to take it with a liver flush. If you have stones, it is going to try to flush the stones out as well, which could cause severe pain. So, I guess if you had only small stones, grapefruit would be good. If you didn’t have any, it would be good to help keep the liver and gallbladder clear. I found an interesting yahoo group for Gallbladder Flushes where I learned a lot from posting questions. They are very anti-surgery and anti-doctors, but if you don’t take it personally, you can learn a lot on there about the GB and liver. A great book that you absolutely must read if you have gallstones is The Liver Cleanse Diet. It will help you learn what foods are good for the liver and which ones cause problems. 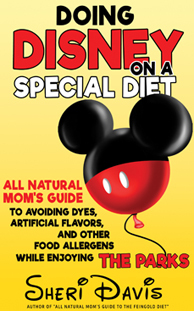 I got this book and followed the diet and went 6 weeks without an attack. I thought maybe my liver had cleaned itself out and I was in the clear, and I was starving, so I decided to eat just a tiny bit off diet and see what happened…not a good idea. I had three more attacks, each about a week or so apart. I remember at Easter, bringing all my own food – which was basically a big bowl of mashed potatoes. How appetizing. I decided to have a tiny bit of that marshmallow jello fruit salad concoction (whatever it’s called). It has dairy. As I ate it, I told everyone, this might put me in the ER tonight. I was right. I had a terrible attack that night around 11pm. I decided to have my neighbor take me to the ER to get some pain meds because it was so bad. I was throwing up and couldn’t stop. This was my last trip to the ER because it took them over an hour after I got there to get me pain meds. What good is it then? My attacks lasted about an hour and a half. They also gave me a pill to stop me from throwing up. I think it was Zofran. I think I got sick though from drinking apple cider vinegar. I had read that that helps stop an attack. Wrong. It didn’t for me anyway – just made me sick. I should’ve know though because that stuff makes me want to gag when I’m not pregnant. After that, I had another attack, which I just endured by soaking in a hot bath and taking one Tylenol and one Advil. They had given me a prescription for Tylenol with Codeine but I didn’t want to take that while pregnant. I was doing more research and started exercising more. I joined a prenatal Yoga class. The instructor was also a massage therapist, so I went to see her for a massage. Turns out, she had gallstones too, but cleared them and kept her gallbladder by doing a series of colon cleanses called colon hydrotherapy. Now she said she does one once a year for maintenance, and she was able to resume eating normally again. Well of course, I had to try this. I did two cleanses but couldn’t do any of the herbal teas that are supposed to help clear the stones better (b/c I was pregnant). A couple hours after the second cleanse, I had an attack. I think I passed a stone at this time, but I was so frustrated that I was continuing to have attacks, that I looked into surgery. I found out that it was possible to remove the gallbladder during pregnancy, if done during the second trimester. No one ever told me this! I was 20 weeks pregnant, so I only had a couple more weeks window to have it removed. I went to see a surgeon that week. I couldn’t imagine having attacks for the next 20 weeks of my pregancy. I was difficult to breathe at 20 weeks pregnant during an attack. I couldn’t imagine what it would feel like at 40 weeks, if I could even make it till then. And, I wasn’t able to eat very much. I was living on lots of GF spaghetti, salad, green beans, potatoes, tomato soup, cereal, and fruit. Not much else. I couldn’t eat any meat, very little chicken, very little sugar, no carbonated drinks, and absolutely no fast food of any kind. I could tell immediately if a food bothered my stomach. Within the hour I would feel nauseaus and my gallbladder would start to tighten, even from one bite. I didn’t know if the surgeon would agree to do the surgery, but I was prepared to beg and even put out some crocodile tears. I was so darn hungry! Thankfully, he agreed. Probably because he was about to retire. If something went wrong, and I lost the baby, most doctors would probably be sued. They usually want you to wait until after you’ve had the baby to do surgery. But, he said he’d do it because he said I looked like I could use a good meal. 🙂 Yea! I hadn’t gained much weight during my pregnancy because of my gallbladder diet. If I had waited and had another attack in my third trimester which became life threatening (a complete bile duct blockage, etc. ), they would have to do surgery, but first do a C-section and deliver the baby prematurely, risking it’s life. I had read about Michelle Duggar on 19 Kids and Counting. She had just delivered her baby at 25 weeks b/c of complications that started with a gallbladder attack. Her blood pressure skyrocketed and her and her baby’s life were at risk if she didn’t deliver. I didn’t want to get to that point. I was worried about making it till 40 weeks with these attacks. I was also concerned about not getting enough nutrition on this diet and the baby having very low birth weight. My kids were normally around 7 pounds as it was. I was not gaining much weight. At 20 weeks, I had only gained about 14 pounds. There was a 20% chance that the surgery would cause me to go into labor. During an attack, the baby is under stress as well and not getting a lot of oxygen as it was difficult for me to breathe. My doctor suggested a medication that would help relax the gallbladder, but told me it had not been tested on pregnant women. Oh, yea, give me some of that. Not. I knew the drugs from the surgery wouldn’t be good for the baby, but I prayed about it and felt like this was the best choice for me. Had I not been pregnant, I would have tried some other options first, like vigorous exercise, and the colon hydrotherapy with the herbal remedies that had worked for my yoga instructor. I may have tried the liver flushes, but I’m a big chicken. The liver flushes involve drinking a nasty concoction of a lot of olive oil, grapefruit juice, epsom salts, etc. Then lying down for the night and waiting, and drinking more of it throughout the night. It involves timing a lot of things, and with little kids, I didn’t see how I could do it. In the morning, you are supposed to pass a whole lot of stones, but also usually feel very sick, like you have a terrible flu for the next day or two. I couldn’t do that with my kids, plus I felt like I would probably throw up from drinking that. I’d rather change my eating habits and exercise more. But, many people do the flushes and say they feel great after clearing all the stones. I’m talking like hundreds. I think colon flushes work well too. Many gallstones also form b/c the intestines are so backed up, making it impossible for things to flow through. If you have reflux, this is a sign that things are backed up in your intestines. So, anyways, I had my gallbladder removed at 20 weeks pregnant. They did it laparascopicly, meaning they made four small incisions (about a centimeter each), and used a small camera to look around and remove the gallbladder. Typically, they will make one incision at your belly button and remove the gallbladder through that hole. They make 3 other incisions on the side and top, near where the gallbladder actually is. Since I was pregnant, he told me he would be taking the gallbladder out at one of the top incisions instead as the baby was about 2 inches below my navel. However, I found out later he didn’t do that. They fill your abdomen with gas so they can perform the surgery easier. When they made the incision at my navel, he said he discovered that I had a herniated navel, meaning the muscles in my stomach were not connected. They had come apart. He said it was probably the result of previous pregnancies. Since that was the case, there was more room to remove the GB there, so that’s what he did. He then took the liberty of “fixing” my herniated navel. He stitched the muscles back together. He did not even tell me this until my 3 week follow up visit! The most pain I had was about 2 inches to the right of my belly button. This must have been where he stitched my muscles together. I should have sued him, but I can’t b/c I’m a Christian! The nerve. I read up on herniated navels and found that some people will have surgery to correct this problem b/c it causes them pain. However, it’s possible not to have any pain from it, which I never did! Doctors do not do this surgery though if the woman plans on having more kids. My midwife told me that this surgeon knew nothing about pregnant women’s bodies. She said it is perfectly normal for a woman’s muscles to separate there while pregnant, to allow more room for the baby, especially in smaller women like myself. Many times, the muscles will grow back together after childbirth, which is why she always told me to do situps after giving birth to help the muscles grow back together. I also wore a Bella stomach band after birth for that reason too. Sometimes they don’t grow back together, and that’s OK too. Well, needless to say, my stomach was going to grow bigger…much bigger. A few weeks after the surgery, I actually felt the stitch pop! It was disgusting. I was so mad at this guy. I also had read that recovery from GB surgery takes just a couple of weeks, but recovery from a herniated navel surgery takes about 6 weeks (no lifting, etc.). Just another reason why I try to stay clear of hospitals. So anyways, back to my surgery. GB surgery is supposed to be one of the easiest surgeries to go through. That is, if you’re not pregnant. When I came out of surgery and woke up, I was in a lot of pain. My blood pressure was also extremely low. I think it was at 45 b/c I remember hearing the nurse say something about it. She asked me on a scale of 1 to 10, how the pain was. I said 8. They gave me meds. Can’t remember which one. It didn’t do too much for me but the pain intensity subsided pretty quickly (couple hours). The pain at first was at the incision sites but then those didn’t hurt much at all, and the pain was in my shoulder. The nurses told me that there are no nerve endings where they remove the gallbladder, so often the pain will manifest in the shoulder. OK. The pain in the shoulder is also from the gas that they put in. I don’t know if they added more gas than usual b/c they ended up taking the gallbladder out at a different location or not. Being pregnant, they were supposed to use less gas. But, the bulk of my pain during all of my recovery was from the gas. If I wasn’t pregnant, I would have taken more medication, but I only took pain meds once more after the initial time. They said I could have Tylenol with Codeine. It made me not be able to sleep and gave me super dry mouth, which made me drink water like crazy, which made me have to get up to go to the bathroom constantly, so it wasn’t even worth it. I was happier dealing with the pain. The nurse said that those were the side effects, but that usually the Tylenol with Codeine helps you to sleep. Not for me though. I can’t sleep if I have any amount of caffeine though. I believe if you are not pregnant though, they have other options for pain meds. They hooked me up to an IV and pumped me with fluids so I wouldn’t get dehydrated. I kept asking the nurse to remove the IV b/c it was making me have to go to the bathroom every half hour. After just having surgery, and being pregnant, getting up to go the bathroom is no fun ordeal. I also couldn’t sleep b/c I had to go to the bathroom so much. She kept refusing until finally the nurses switched shifts and the other nurse misunderstood me and thought the other nurse was going to remove it, so she did it for her. Yippee! As I got up to go the bathroom, I looked to see what they were pumping into me. The IV bag ingredients said dextrose! Ahh! They were pumping me with corn syrup! Get me out of here! Are they insane?! They’re too cheap to use real sugar in an IV? Well, this might explain why my baby was kicking the crap out of me! As if it weren’t bad enough being pregnant and having surgery, right after the surgery, my baby started kicking like crazy. I was happy at first, knowing that she was alive and well, but it got old quick. She was kicking me right where my gallbladder once was. And, she hadn’t been kicking a whole lot prior to this time. That was another reason I couldn’t sleep. Also, the pain from the gas made it very difficult to find a comfortable position. I couldn’t lay on my right side AT ALL or I had excruciating pain. Couldn’t lay on my back or stomach because I was pregnant, so my only choice was to lay on my one side. With some GB surgeries, they let you go home a few hours after surgery, but I stayed overnight because I was pregnant. I thought they’d want to do an ultrasound right after to make sure the baby was OK, but they didn’t. They did come in and use a doppler and check the heartrate. I didn’t see my surgeon after that, which I thought was weird. You’d think he’d come in to check on me and tell me how the surgery went. And oh, yea, to tell me he stitched up my navel! Nope. So, I went home the next morning. I had to walk very slow b/c of the pain from the gas. This lasted for a few days. Breathing was difficult too, so I couldn’t talk very loud. If I breathed in too deep, I had a lot of pain. And don’t even think about coughing or laughing. My Dad came in the hospital room and said something funny and I started to laugh, and then started to cry! Ouch! Note to clueless people everywhere: Never crack jokes to someone who has just had surgery! I had read that after GB surgery, you should be back to work, etc. in a couple/few days. LOL. Not for me. I was out for a good two weeks. This is probably b/c I was pregnant, and maybe b/c of the navel surgery as well. In the hospital, they bring you a menu of what you can eat. It’s liquids for the first 24 hours so I had some chicken broth. Pepsi was actually on the menu! I laughed and questioned the nurse about it, and she said, “Yea, do you want some?” Ahh! No! If I had one sip of pop before my surgery, I would have been in pain from the sugar and carbonation. I had brought my own all natural jello and tried to eat that, but it made me nauseaus from the sugar. I still felt that tightening from the same foods that caused attacks. This continued for the next couple months after the surgery. Diarrhea is also common right after surgery. I figure the body needs to adjust to no longer having a gallbladder, and now the bile is being released straight into the intestines instead of waiting in the GB till it’s needed, like for a high fat meal. Well, that was my experience with gallstones. It’s getting long, so I’ll post Part 2 later – Life Without a Gallbladder & How to Prevent Gallstones. LOL! Thanks for the laugh. I like your post on the book "1,000 places to visit before I die." I'll have to write my own list, and then wait for the day when I don't have kids in diapers and I can actually travel to places that don't have mouse shaped water towers. Not that I'm complaining. I do love Disney. wow, this is an awesome post! thanks, bc i am only 25 experiencing GBD! ugh i needed to read this, and I'm trying to conceive also, so this is great info to know! Just had my gallbladder out too. Your blog is very informative. Good luck & thank you. God Bless you & your family…..